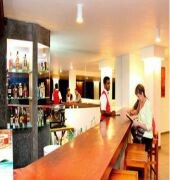 Built in 2011, The Long Beach Resort is a distinct addition to Unawatuna and a smart choice for travelers. The hotel is not too far from the city center: just 8 km away, and it normally takes about 320 minutes to reach the airport. 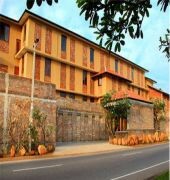 A haven of rest and relaxation, the hotel will offer total renewal just steps away from the city's numerous attractions such as Martin Wickramasinghe Folk Museum, Koggala river, Madol Doova. 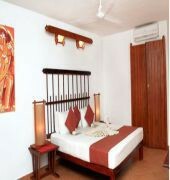 At The Long Beach Resort, the excellent service and superior facilities make for an unforgettable stay. Poolside bar, restaurant, shops, tours, business center are just a few of the facilities that set The Long Beach Resort apart from other hotels in the city. 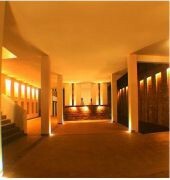 Step into one of 102 inviting rooms and escape the stresses of the day with a wide range of amenities such as mini bar, television, internet access %u2013 wireless (complimentary), seating area, non smoking rooms which can be found in some rooms. 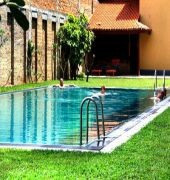 The hotel's water sports (non-motorized), garden, pool (kids), tennis courts, massage are ideal places to relax and unwind after a busy day. Whatever your reason for visiting Unawatuna, the The Long Beach Resort is the perfect venue for an exhilarating and exciting break away.